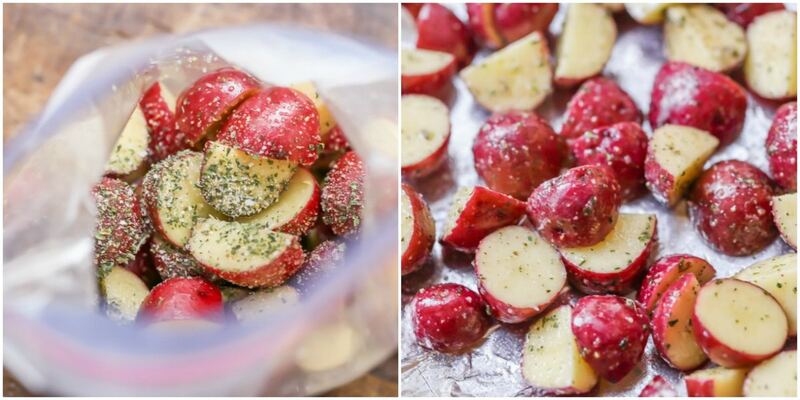 Just a small handful of ingredients to make these delicious oven roasted red potatoes. These crispy, seasoned potatoes will add flavor to any meal. Roasted red potatoes might be my favorite side dish of all time. We have them at least once a week, if not more. They go with just about any meal – Chicken, steak, pork, etc.! They bring a healthy side of crispy flavored deliciousness. I’m also a sucker for an easy recipe and potatoes, for that matter, (Eggs and Potatoes and Mashed Potatoes are my weakness! ), but these bad boys are so simple anyone can make them! 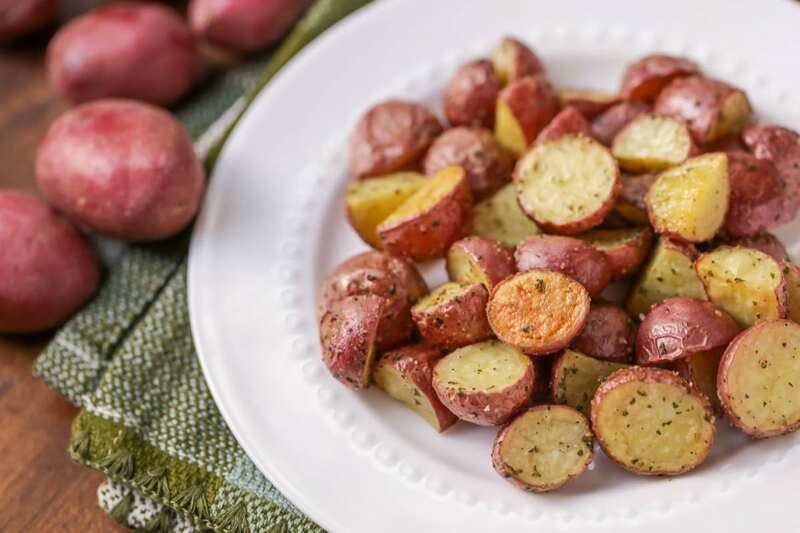 These red potatoes are only seasoned with olive oil, dried parsley, garlic salt, and pepper. Those four ingredients make something incredibly tasty. I love the crunch and crispness of red potatoes roasted in the oven, which is my favorite way to cook red potatoes. The ingredients are simple and to the point. They all combine to make the most flavorful side dish! Preheat oven to 425 degrees. Toss potatoes, oil, and rosemary on a rimmed baking sheet. Spread out potatoes in a single layer; season with salt and pepper. Sometimes I like to throw all the ingredients in a bowl or plastic bag and mix them around to make sure each potato chunk is covered with the seasonings. Roast the potatoes in the oven, stirring once halfway through cooking, until they are golden brown and crisp outside and tender inside, about 30 minutes. Take out and serve on the side of your favorite meal. 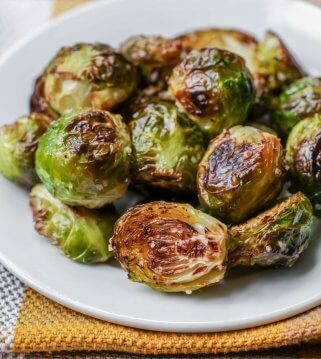 You can serve them by themselves or with other roasted veggies. 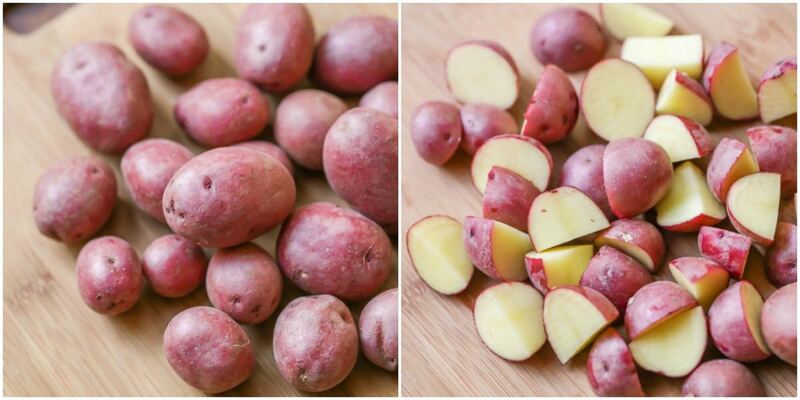 Roasting red potatoes is not complex at all, but there are a few tips and tricks that help, especially when it comes to baking times and temps. I would suggest roasting these potatoes at 425 degrees for about 30 minutes. You can adjust the temperature to something else, just make sure to adjust the time too. If roasting at 400 degrees or less, you’ll need to keep them in the oven longer than 30 minutes. If your oven is set at 450 degrees, then roast for about 20-25 minutes. Keep an eye on the potatoes and take them out when they are golden brown and crisp on the outside. 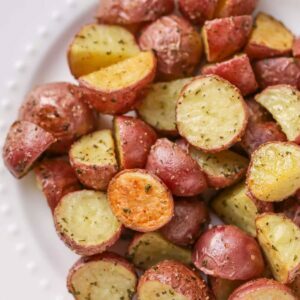 How to reheat/store roasted red potatoes? Roasted red potatoes are super easy to reheat the next day if you have any leftovers. Just keep them in an airtight container in the fridge for up to 2-3 days. When you’re ready to eat them, just pop them into the microwave for 30-60 seconds until heated through. These are great for meal prepping along with some chicken and broccoli for a healthy lunch idea! What to serve with roasted red potatoes? One of my favorite things about roasted red potatoes is how versatile they are. They go with just about any meal! Here are some of our favorite dishes to make with these red potatoes. 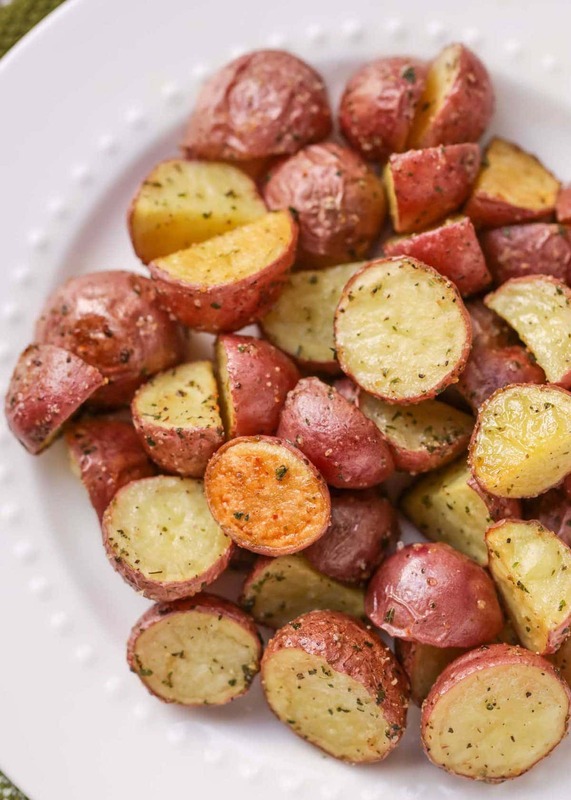 Oven roasted red potatoes are the perfect addition to any dinner! 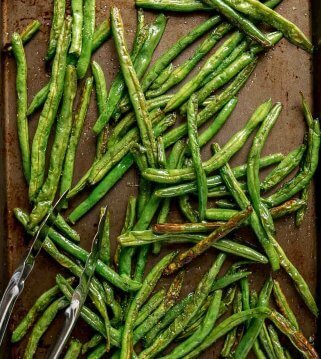 This crispy, seasoned side dish will add flavor and color to your meal. Spread out in a single layer on a rimmed baking sheet and roast for about 30 minutes, stirring once halfway through cooking. Potatoes are done when they are a crisp golden brown on the outside and tender on the inside. I do my roast potatoes in a similar way and have to agree with you they are the best. Yay!! Thank you for sharing that! The quickest and yummiest potato dish ever! A little prep time and You have a taSty pOtato dish for dinner. 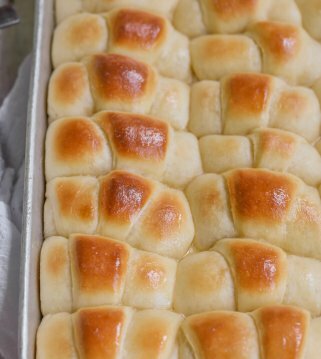 These are the easiest & tastiest side dish ever! We love potatoes with most recipes & these are a great change from mashed potatoes! 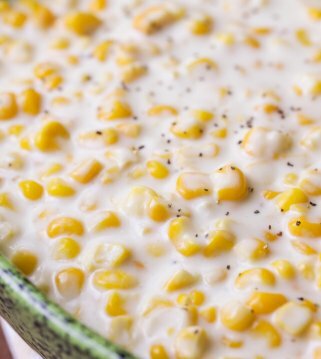 This is the perfect, tasty side dish! 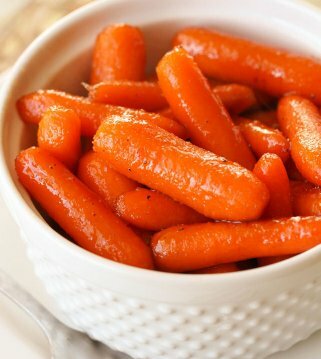 These are my go to side dish for just aBout every meal. I like that the flavor can easily Be adjusted too- sometimes i dress them up with rosemary and minced garlic. Either way theyre a hit with my kids. I always parboil my potatoes first. They are great alone!! Thank you for sharing! Really tasty!! I added red pepper flakes for a lil bit! Great idea! Thank you for sharing that!